Martin Luther King stated that “hatred can not drive out hatred, only love can do that”, but what does that love look like when it is put into action? The Summer of Love in 1967 gave us a template for a great awakening of consciousness, love, and social action. 50 years later we see a global movement that is not content to overindulge nostalgic sentimentality, yet we must remember the roots to this dream of peace, love, and understanding. Something new is blossoming from the seeds that were planted in those turbulent times. Today we address the challenges of this time with a renewed sense of purpose, and urgency using creativity, technology, and a fearless love for the immense blessing of life. Bringing division has become a trend lately which can be seen by anyone sifting through their Facebook Feed, or turning on the television (Fox for the right, MSNBC for the left in America). However, things didn’t start out this way and the pendulum is starting to shift as we begin to recognize how futile the mud-slinging and division is for our well-being and for the planet. Bob Dylan’s wisdom was as true then as it is today, the times they are a changing! The generation following the Baby Boomers saw the rise of global networks and explosion of independent media via the internet. Using the same inspiration of the very first television broadcast and message of love, Unify was born. Organizing globally synchronized, meditations, ceremonies, actions, and events via their popular Facebook Page, the group now boasts a network of close to 10,000 local organizers across the planet, a weekly social media reach ranging from 5-15 million, an email list of almost a half million, and a Facebook following of 1.6 million. 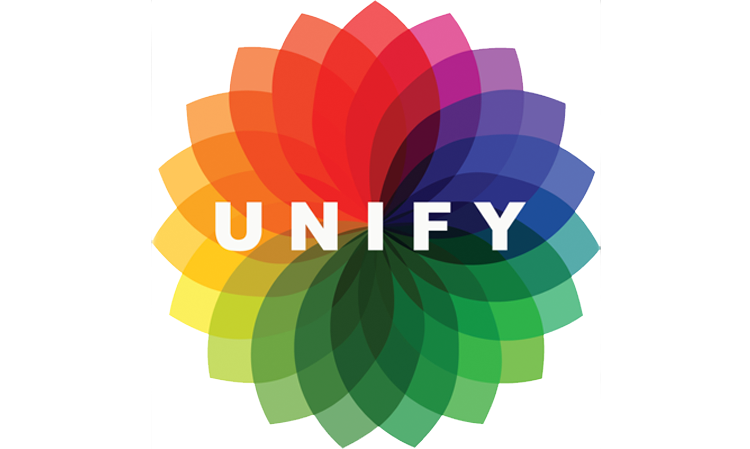 Unify specializes in collaborating with other popular Facebook Pages like Collective Evolution, UPLIFT, Phenomenalisms, the Mind Unleashed, Cooperatist Movement, and Sustainable Human along with many more organizations and nonprofits. This grass-roots participatory movement is infusing the planet with hope, solutions, practical actions, and a shared vision of one unified, healthy, thriving planet. This summer promises to be their most impactful season yet! 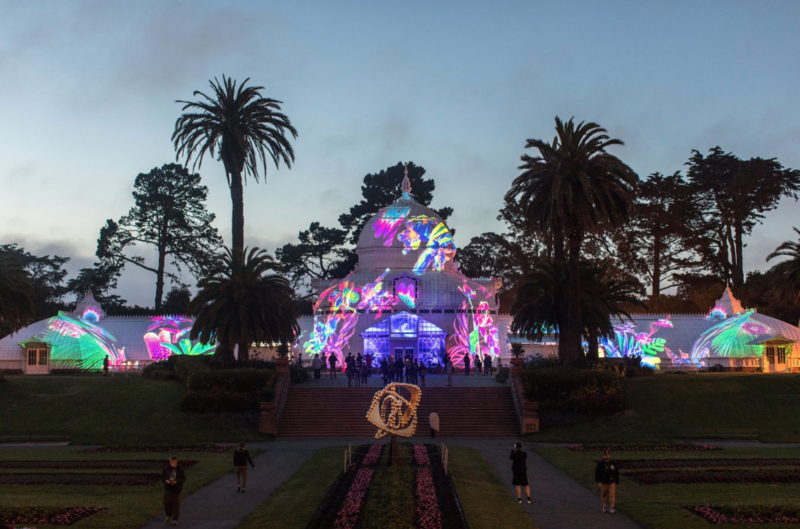 The 50th Anniversary of the Summer of Love kicked off on June 21 with synchronized events for World Yoga Day; an interactive map honoring sacred sites in conjunction with Chief Arvol Looking Horse’s vision for World Peace and Prayer Day; and a live-feed from the Points of Light Conference in Seattle. San Francisco. 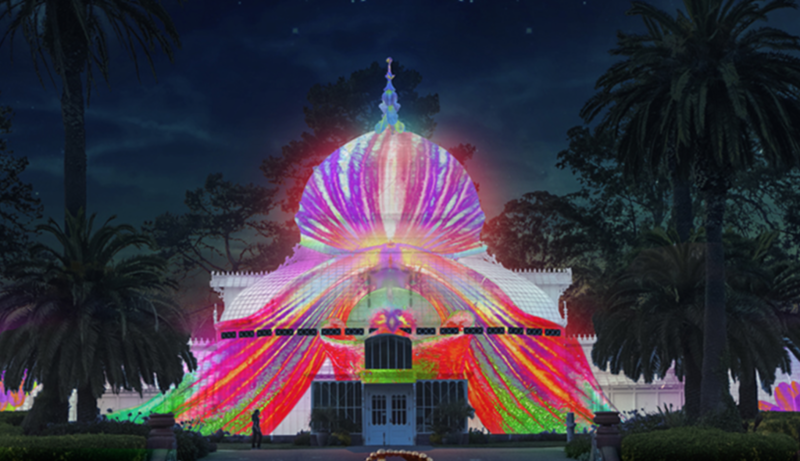 Conservatory of Flowers in collaboration with Obscura Digital, Illuminate, and Golden Gate Park commemorated the launch with a beautiful light show and installation that will run until October 21. The summer will be filled with coordinated events across the planet that culminate on the International Day of Peace as recognized by the United Nations on September 21. This Summer of Love isn’t only in San Francisco, it has gone global. How will your city or community get involved? 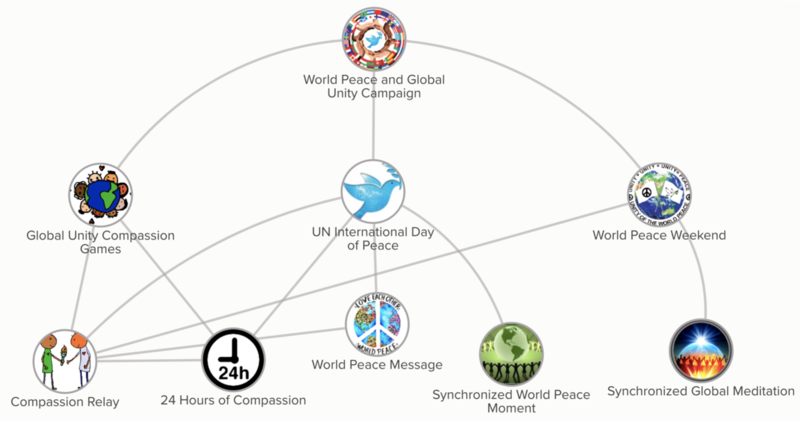 World Peace and Prayer Day map of sacred sites. Honoring sacred sites and restoring our sacred connection with the land and each other is central to creating peace and a healthy planet for future generations. Focusing on climate issues has become fear-inducing and can leave us wondering if there’s anything we can do to bring solutions. Few people recognize that many leading experts believe firmly that we can reverse this trend. Restoring balance to our climate is possible if citizens are prepared to take action together in a unified expression of love for our planet. Sustainability has become a buzzword that is often used to set a divide between left and right political ideologies but it will not get us where we need to go. We now need to look at regenerative solutions that create a healthy climate for our future. Why sustain unhealthy systems? We are not here to merely survive, we are here to thrive and together we will do just that when we decide to cast our fear to the wind and work towards solutions. When government policies fail it is local leaders who step up and individuals who initiate to become the change we wish to see in the world. There are technologies in the works to take CO2 out of the atmosphere but more research-funding is needed. How do we accomplish this? Since this has become a political hot-potato religious and spiritual leaders are stepping up along with concerned citizens to remind us that this is a moral obligation for future generations. Public support and awareness can help elevate the idea to get research endorsements for climate restoration efforts from the United Nations, the Intergovernmental Panel on Climate Change, and possibly even a Congressional Resolution. Once research is funded and we have conclusions to present, the gates will open up for business leaders, investors, and academics to come together and create magic. The current atmosphere of political division is bankrupt and that’s why the Summer of Love will provide an inspired lead-up to the UN Climate Summit, COP23 in Bonn this coming November. Love is more than a feeling, it can be an action. Environmental issues are not the only hurdle we face, we are currently looking at wars and humanitarian crises across the planet. Since human beings are social creatures that need successful models to emulate. In partnership with the Great Silence and the Light House Foundation, and other exceptional partners including the United Religions Initiative, Unify is presenting the Rise for Syria Campaign. By staying out of the political divisiveness surrounding the Syrian conflict, this campaign is focusing on real human beings caught in the cross-fire and simple ways that we can reduce suffering. Support for infants and mothers in refugee camps, building underground hospitals to assist the wounded, and live broadcasts from refugee camps each month will humanize what is happening on the ground while empowering people to make a positive change. If this model becomes successful, then it can be applied to humanitarian issues around the world. 50 years later we are faced with a simple choice between choosing love, compassion and unity, or fear, division and war. Our media and technology has provided a perfect reflection and science has shown beyond a doubt why the Beatles were right. Simply stated, during times of stress and fear our brains do not function at their highest potential because the circuitry shuts off access to higher thinking centers in the neocortex condemning us to the lower animalistic responses of fight or flight. We live in terrifying times but being terrified will not help us through it, love, compassion, and creativity will. Evolutionary biologist, Bruce Lipton speaks to this in a short web-film produced by UPLIFT while visiting the Maharishi Ashram in Rishikesh, India where the Beatles spent much time writing and sharing their spiritual message of love through music. 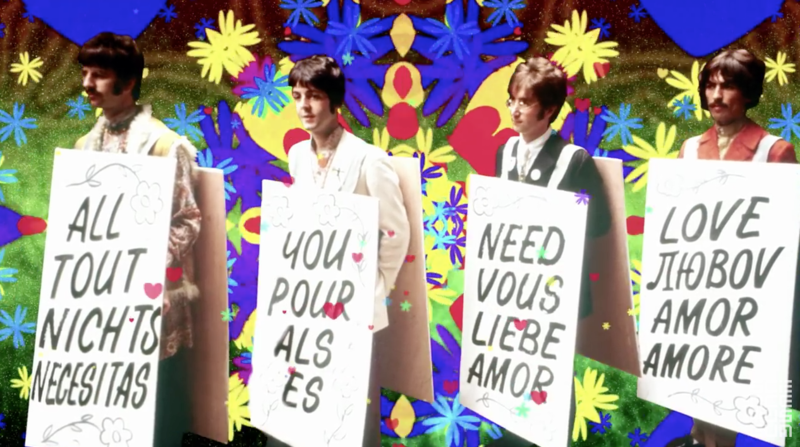 Watch All You Need is Love here. This is a Global Invitation for Universal Participation! They say that when the people lead, the leaders will follow. We saw this during the Summer of Love in 1967, and we are prepared to make this true again in 2017 and beyond. We are calling forth all digital warriors, light-workers, artists, musicians, community leaders, entrepreneurs, youth, and elders to make this dream a reality. Upcoming events include Ringo Stars Birthday Party on July 7, that will be hosting a global moment to blast thoughts for peace and love over the world inviting people to chime in at 12 noon in their/your local timezone. This will create a wave of joy around the planet and you can look for local events (or create your own) at Ringo’s Page, or the Beatles Facebook Page. There will also be a synchronized moment on August 21 at 10:19 am for the eclipse which will coincide with a massive gathering in Oregon produced by Symbiosis during that weekend. September 9-24 are the Compassion Games which challenges individuals and communities to participate in coordinated acts of compassion. 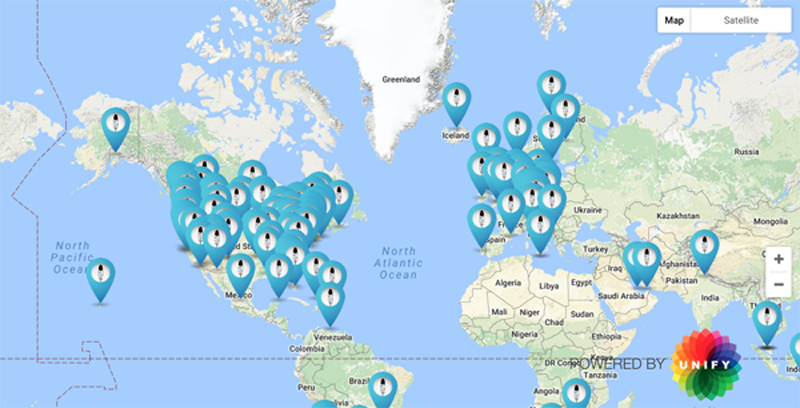 There will be a globally synchronized meditation and prayer for peace on September 21 for the International Day of Peace, and you can add your local event to the event map here. I will continue to blog about these and other related events throughout the summer on various platforms. The best way to stay connected is through my Facebook Author Page for blogs, and at Unify for social media campaigns, related articles, and memes. Also look for #summeroflove hashtag on Instagram, and Twitter to see what others are posting. This summer promises to deliver an antidote to the divisiveness and fear that has crippled our global community and you are empowered to become part of the solution . A better world is possible and together we will make it happen. Let LOVE lead!